Test Valley Borough Council is set to create two new short-stay parking spaces in Waterloo Court to enable those with limited mobility to be able to park as near as possible to WH Smith when the Post Office relocates there. The park-up-and-go spaces will be located opposite the rear of Poundstretcher. They will not be designated disabled bays, so those without disabled badges will also be able to make use of them. Leader of the Council, Phil North, said: “One of the main problems with the Post Office relocating to WH Smith is that there is no parking directly outside the store for those with mobility issues to be able to park close by. This has clearly come across in the public comments and through the consultation process. “When I met the Post Office’s Head of External Affairs, Ken Penton, I said that they needed to come up with an adequate solution to this issue. Unfortunately, that wasn’t immediately forthcoming, so Test Valley stepped in to help. 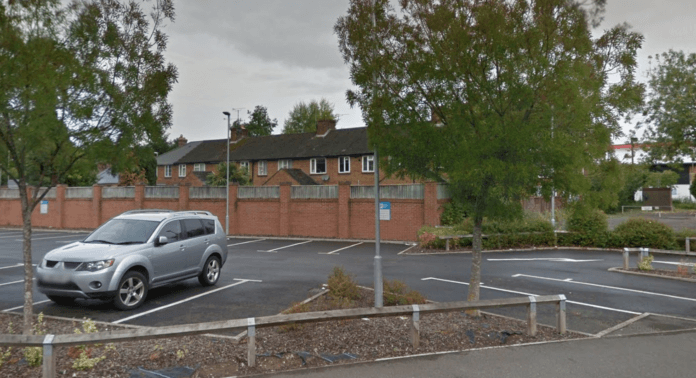 “We recognise this is not an ideal solution for everyone, but having consulted with residents in Andover who have disabilities, I hope these additional spaces will make things a little easier for our residents that struggle with mobility. The council will shortly begin the consultation to amend the traffic regulation order to implement the new short-stay spaces. It is anticipated that they will be in place in April.